Adam Kingsmith isn’t overly diplomatic about how spending a semester in Sweden has helped his international relations career: he says studying abroad made him a much deeper thinker and a harder worker, and having the experience on his resume has already opened many doors. Adam studied at Lund University in Lund, Sweden, during the last year of his Honours Bachelor of Arts in Political Science at Simon Fraser University, and recently completed in MA in International Relations at McMaster University. 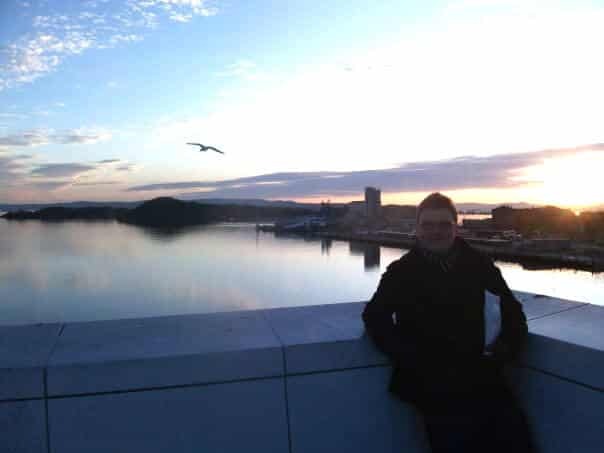 To help you get a better idea of what it’s like to spend time abroad and how it might impact you and your career, we asked Adam about every aspect of his experience in Sweden. Keep reading to see what he said! When and why did you decide to go abroad, and how did you figure out where to go? 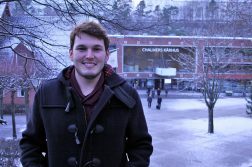 Adam: I decided to go abroad fall of 2009 in order to gain some international experience with which to apply to my future studies in the field of international relations. SFU has many partner universities to choose from, so while deciding to go on exchange may have been a no-brainer, deciding where to go was substantially more difficult. To ensure that I made the right decision, I ended up making a list and weighing the pros and cons of each university and surrounding region. 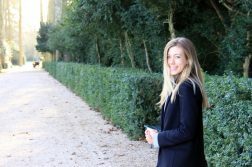 I chose Lund University in Sweden because I wanted to go to Europe, and I had already explored Western Europe before. 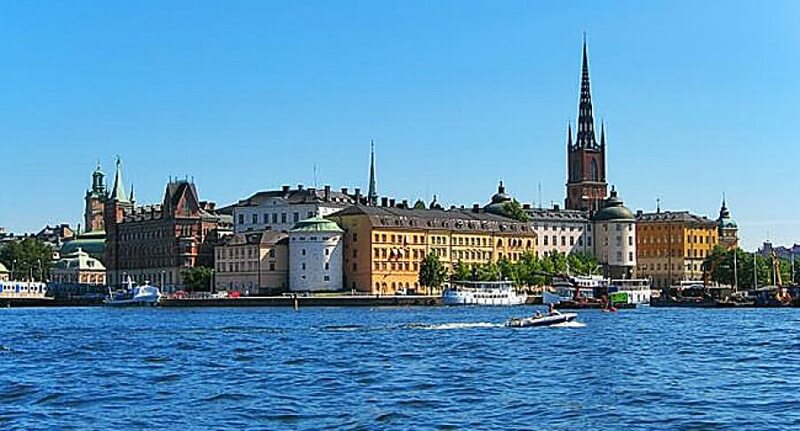 Therefore Scandinavia was a great place for me because I could explore something new, whilst being close enough to pop over to Eastern Europe or Northern Africa reasonably cheaply and with relatively little travel time. What preparations did you have to make before you went abroad? Adam: SFU prepares all its outgoing exchange students to some extent. We met fellow ‘exchangees’ going to similar universities and were given some cultural preparedness lessons meant to make the transition easier. Moreover, I had to secure my own visa, which meant demonstrating that I had the means and cultural competency to be a productive student guest in Swedish society. Needless to say, they must have liked me, because my visa application went off without a hitch. Where did you stay while you were in Sweden? Adam: I stayed in university-run student residences that amalgamated Swedish and international students together. As it was official Lund University housing, it was a little pricey by Canadian standards. But accommodation in Lund was notoriously difficult to come across, and the social aspect of being thrown into a melting pot of different cultures and languages helped to far outweigh the slight increase in cost. Did you experience any “culture shock” or homesickness when you arrived in Sweden? Adam: The university did a great job making us feel at home with language and cultural orientation programs for the first few weeks, plus living with both other international students going through the same things, and Swedish students who know the ropes and could impart knowledge made the transition near seamless. My real homesickness came upon my return to Canada. I guess what I lack in anxiety I make up for in sentimentality, but I digress. What were the biggest differences that you noticed between Sweden and Canada? Adam: I can only speak for Sweden, but I would say that one word which perfectly encapsulates the difference between university life and education over there as opposed to Canada is ‘relaxed.’ Classes were much more group-focused, with very light workloads compared to back home, not to mention that teachers would constantly give students permission to miss class to travel and such. University life was the same way: the social aspect was not merely recommended, it was the norm. Everyone was involved in different student clubs and forging diverse and lasting partnerships with people outside of your comfort zone was encouraged. 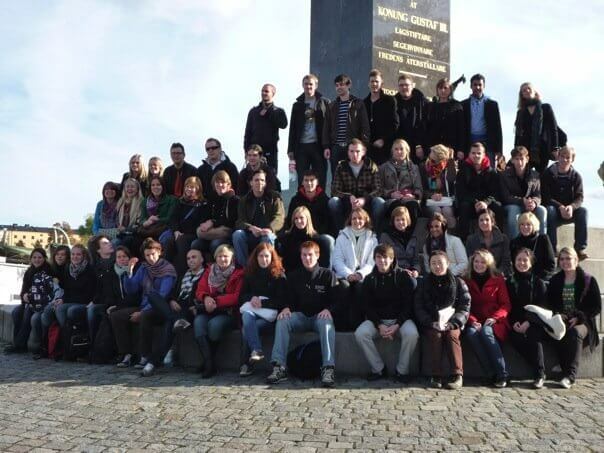 What is your most memorable experience from studying in Sweden? Adam: I would have to say that is a tie between limitless travel opportunities and cultural nuances. Having Lund as a home base allowed me to travel all across Europe for reasonably cheap. Coming from Canada, that sort of affordable mobility is unheard of and I strived to take advantage of exploring as much as possible. From Moscow to Barcelona, Helsinki to Rome, I tried to soak up all I could whilst simultaneously draining my bank account. Which brings me to the cultural nuances. I loved being at a dinner party or a bar surrounded by people from all over the world just talking about the little differences in how we all live on a day-to-day basis. For me, one of the most interesting things about people is how we do the little things differently. Adam: In a heartbeat. 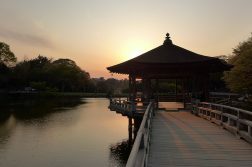 Thanks to social networks, I have cultivated long-lasting friendships all over the world, learned fantastic new things about how other people live their lives, indulged in breathtaking architecture, food, art and wine, and expanded my cultural horizons in a way that would be impossible back home. In my opinion, an exchange should be mandatory – even subsidized by the government. I would not be the same young professional that I am today if it were not for my eye-opening experiences abroad. What advice do you have for other students who are considering studying abroad? Adam: Plan everything well and just do it. Make sure you are going to a place that is going to give you what you need both personally and professionally to succeed and just go for it. It will literally be the highlight of your formative years, and throughout my travels I have yet to meet a single person who has regretted the experience. It should not be a question of to go or not to go. It should be a question of where should I go, when can I leave, and how many pairs of shoes should I bring?